Fishing in the 13,276ha Pongolapoort Dam for Africa's fresh water predator... the Tiger Fish. This is a must for visitors. Fishing Charters with a professional guide available on request. Note: Our boats do not fish past the KZN campsite. ROD HIRE - R125 /rod/day – Any lost or damaged tackle will be charged for. 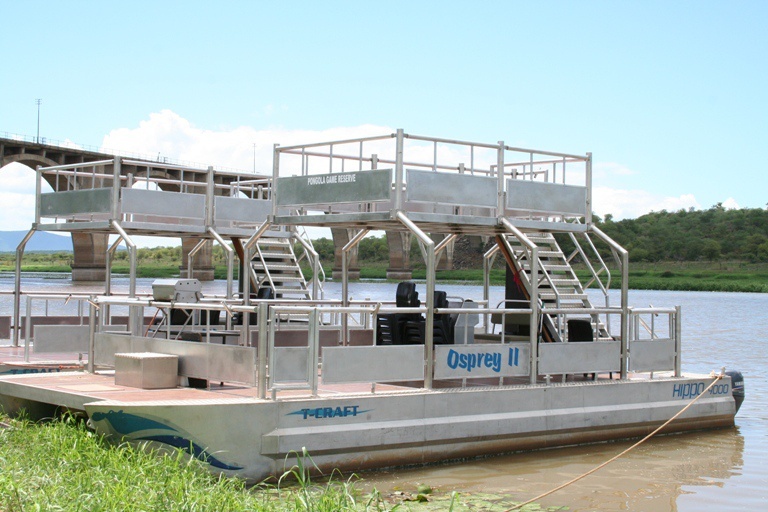 Our three Osprey boats have portable chemical toilets and gas braai facilities on board. They have two 50hp 4 stroke motors and lots of space. Maximum 11 guests on these boats. Credit Cards Accepted - VISA & Master Cards Only.